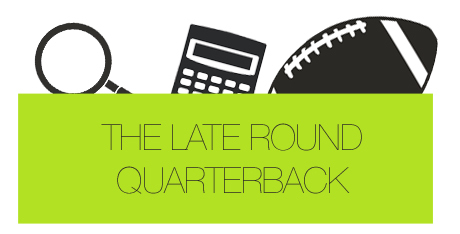 The Late Round Quarterback staff put together their tight end rankings for the 2013 season. The following rankings are based on standard tight end scoring in redraft leagues, where each touchdown is worth six points and one point is rewarded for every 10 rushing and receiving yards. If you were a fantasy hipster, you drafted Jimmy Graham or Rob Gronkowski in 2011. If you were the opposite of whatever a fantasy hipster is, you tried the same in 2012 – but this time, no records were to be broken. The 2012 tight ends were supposed to be as deep as the 2013 quarterbacks, but that didn’t happen. Mired in mediocrity, the position was a weekly headache unless you owned Graham, Jason Witten (PPR) and sometimes Gronk, if he was active. Other than that, the position turned out to be a bust and would have been better served to stream them instead. 2013 breathes new hope into the position with breakout candidates such as Jordan Cameron, Jared Cook (again) and Rob Housler. Vernon Davis’ situation looks a bit promising with the Michael Crabtree injury and there’s been more praise for Jermichael Finley’s off-season thus far. Tony Gonzalez is back in a not so Favre-esqe way and a group of young guns look to make an instant impact on your fantasy squads. Graham is the clear-cut number one tight end from the crew at LRQB with Witten taking the silver. Interestingly enough, Gronk comes in at number three despite his uber-low ranking by mine self (sixth). I like Gronk and he’s elite when on the field, but I worry how many weeks he’ll end up missing. And since he’s being drafted around the third round, I can’t take on that sort of risk at this particular position unless it’s a best ball league. If he ends up missing zero time, he’s obviously a top-two guy. My rankings will showcase that if such news is shared. Rounding out the top five are Gonzo and Vernon Davis – both were within slap and tickle sessions of each writer. As a group, we had Dennis Pitta ranked number six – this will no doubt change in our August rankings since he’s done for the season with a hip injury. If we remove him from the equation, which we will, the LRQBers have Greg Olsen, Kyle Rudolph, Jared Cook, Owen Daniels and Martellus Bennett to conclude the top-10 tight ends. Phil and I are the lowest on Olsen, ranking him outside the top ten. Our liege, J.J. has him ranked sixth – clearly he loves a mammoth jawline. We’re all fairly consistent on Rudy and Cook, but Austan was clearly the highest on him, ranking the third year hype train number six. Daniels must have gotten the shaft because some doink ranked him 21st – don’t judge me. DeAndre Hopkins and Owens’ lack of red zone targets is my reasoning…whatevs. Bennett is meh, but he is the defacto number 10 for us despite Keith ranking him 18th. It gets a little hairy from here…for me anyways. After the rankings were sent to us, it was obvious I was the black sheep of the group regarding tight ends. Tight ends 11-15 look like this: Jermichael Finley, Brandon Myers, Jordan Cameron, Brandon Pettigrew and Antonio Gates, respectively. We were all fairly close on Finley, but then my dynasty side got the best of me, perhaps. I had Myers as my number nine tight end, by far the highest because I still think he gets his in New York. Ladd was the lowest, giving the Raider turned Giant the 17 spot. Same story with Cameron. I have him ranked 10th while Phil almost doubled down on me with a 19 ranking. Camp reports have not been kind to Cameron and his stock, but if he figures it out, the second-year freak of nature could do big things for fake teams with Norval. I flipped the script on these dudes once Pettigrew came up. I hate him as evidenced by my ranking. Ladd cut me in half when he ranked Mr. Dropsies number 11. I can’t draft him anymore, I just can’t. He hates catching the ball in the endzone – it’s weird. The hipster in me keeps chuggin’ along as the crew were all in the same range for Gates. Not me. I have him at 20 spot, and I still feel that’s too high. He’s broken. I hate how much I’m talking about myself, but the rankings don’t lie. Of the 16-25 group, Phil is pounding the table for Heath Miller to come back strong from injury, ranking him 13th. THE LRQB and I finally agree on someone and rank Coby Fleener ahead of the other fellas. We must believe in the new West Coast Offense installed and the reunion with college OC, Pep Hamilton. He’s a favorite TE2 for me later in drafts. I think he’ll be used more efficiently than he was last year and will line up as a wide receiver in more cases than not. After that, it’s pretty much throw a dart and pick a guy. As you can see, the rankings are all over the board (mostly for me) and if there was ever a year to stream tight ends if you don’t land an elite, it’s 2013. I encourage you to read C.D. Carter’s inaugural piece for Rotoworld.com aptly titled “The Viability of TE Streaming” and then stream like you’ve never streamed before.